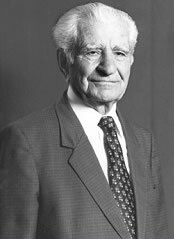 Raabie Nimrod Simono (1908-2004), Assyrian educator, author, and linguist passed away last week in Tehran. The Iraqi National Conference was delayed twice this week said to be due to security concerns. It was to begin yesterday (29 July), but it was delayed until tomorrow (Saturday). Now it is being postponed again for 2 more weeks. The INC will elect members to an interim national assembly that will oversee the activities of the interim cabinet until national elections are held in January. But it is clear that security is not the only cause for the delay. At press time only less than half of Iraq's 18 governorates have nominated delegates to the conference. In truth the conference is being postponed because of the violations committed in governorate conferences held to elect delegates. One of the political parties that has openly criticized the process of delegate selection is the Assyrian Democratic Movement. This week it issued a statement objecting to the method and procedure of the nomination by the governorates. On 11 July Kurdish special security forces told the Assyrian storeowners in Sarsank and Amadiya (north Iraq) to raise the Kurdish flag on their stores or their stores were going to be closed. Two months earlier, the ADM office in Ain Sifni was told by Kurds to lower the Iraqi flag, and the ADM did. The Assyrian mayors (Mukhtars) in north of Iraq were also told to raise the Kurdish flag on their homes and receive $100 per month as a reward or they would lose their positions. Assyrians have been also forced to raise the Kurdish flag in Alqosh, Ba'shiqa, Telkepe, Bartilla and Baghdede. Masuad Barazani [ head of the Kurdish Democratic Party ] and the Kurdish officials of the Kurdistan Democratic Party (KDP) in Dohuk continue to marginalize the presence of the Assyrians in Iraq. The KDP has even prevented the Assyrian Democratic Movement (ADM), the Assyrian Women's Union and the ChaldoAssyrian Student Union in Dohuk from nominating their representatives from this governorate (see News Digest). In Arbil the local government made few changes in the election of some key positions. It appointed and then approved Sarkis Aghajan as deputy prime minister and the minister of finance for the Kurdish local government in north of Iraq. Sarkis Aghajan is an Assyrian; however, he has been a member of the Kurdistan Democratic Party (KDP) under Masuad Barazani during most of his political career and has worked against the interests of the Assyrians and the Assyrian Democratic Movement (ADM). The KDP is in violation of all previous agreements and understanding reached by Iraqi opposition groups before and since the fall of the Ba'ath regime. Every political group, institution, tribe, or any segment of the Iraqi society should be able take part in the democratic political process of the new Iraq. Assyrians in the Diaspora must call upon their local government officials, the Iraqi President, Prime Minister, government agencies, the United Nations and world organizations to interfere and undo the Kurdish oppression and marginalization of the Assyrians in Iraq. Like the birds whose nests are ruined or burnt, Iraq's Assyrians hover over their war-ravaged homeland. But many are trying to fly away. That's how Shamasha Muayad Shamoun Georges summarized his Chaldo-Assyrian people's situation in the now unstable Iraq. Media reports from Iraq have said Assyrians are fleeing the country for fear that an Islamic regime would be set up there or the rise of Islamic sentiments would vent into slaughtering the Chaldo-Assyrian Christians of the country. Indeed, Georges, 45, a deacon of the Chaldean Solaqa (al-Sou'ood) church in Baghdad who fled Iraq a week ago along with his wife and five children, said: "The religious pressure is tremendous on us." "We are persecuted there by the ocean of Muslims around us, not by the official Iraqi authorities," he added, showing no hope that his people's suffering would end soon. "Our persecution will last long," Georges, who had refused the German Luis Fischer Company's offer to give him a job with them in Germany in 1985, grimly said. Scores of Assyrian families are arriving daily in Damascus, Syria's capital, in Amman, Jordan and in other Iraq's neighboring countries. Now the number of Chaldo-Assyrians living in Damascus and its countryside amounted up to more than 6,000 people. According to a leading Assyrian figure in Amman, the number of Assyrian families living in the Jordanian capital has raised up to 7,000 people. "All are seeking visas to western countries," said Toma Youkhana, an Assyrian activist and a prominent businessman and civil engineer who has lived in Jordan for more than ten years. Some thirty Assyrian families in Syria and forty-two Assyrian families in Jordan have succeeded to get Australian visas. All the rest either have applied or are planning to apply for visas to immigrate to Australia, Canada, the United States and other countries of the West. All Iraqis I interviewed in the past two days say they are not willing to return to Iraq, where "gangs and Muslim extremists dominate the streets." "I have run away because gangs kept threatening me. My nephew, Patrous Yakou, 10-years-old kid, was kidnapped at the end of 2003 and later released for paying a ransom of $ 15,000," claimed Adeeb Goga Matti, 48, a wealthy Chaldean who owns a shop in Baghdad for selling studio games machines. After the kidnapping of his nephew, Matti said he stopped sending his 4 children to their schools. "Chaldo-Assyrians are the easiest targets for gangsters," Matti stressed. Matti, who is in Syria since last May, said his brother, Jalal, survived an attack also by unknown gunmen. Jacqueline Isho, a woman of 42 years, cited a forced public stripping on one of Baghdad streets for an Assyrian who refused to wear Islamic veil and garments. "A 20-years-old Assyrian girl has been stripped off by Shiite men in Baghdad Jdeedah, in front of Darwish Sweets Shop in public," Isho said. She said Christians' complaints to authorities were "always ignored. And some police are sympathizers or supporters for those Islamists and gangs." A young couple, Albert Sargon, 24, and his wife, Suhat Pethio, 26, said they also have been chased by Islamists for working with the coalition forces. "I ran away from threats the Islamists sent to me through messages because I was working as a cook for Americans in the Green Zone," Sargon, who arrived in Damascus only 17 days ago, said. Now the couple says they can never return to Iraq because of the threats. Solaqa Enweya Oshana, who once visited Italy, Germany and Yugoslavia and returned to his home, said the insecurity in Iraq "forced me to think of leaving my dear homeland." "The situation there is no more endurable," Oshana said. Youkhana, the businessman, wondered why Assyrian parties and organizations want their people to suffer back in Iraq under such circumstances. "Why must Assyrians stay?" he said. "Do they want to get Assyria back? That's ridiculous." "What have those Assyrian parties and organizations done for Assyrians when Iraq was under sanctions" from 1991 until the ouster of Saddam Hussein in March 2003? Youkhana asked. He called on His Excellency Archbishop Mar Millis of Australia to help Iraqi Assyrians "get out of this situation." Commenting on Mar Millis's recent statement denying his involvement in helping Iraqis get entry approvals to Australia, Youkhana said, "Why doesn't he get involved?" The Assyrian migration from Iraq to the West has started since late 19th century. But it has picked up again since early 1980s when Iraq engaged in an 8-year-long war with Iran. In 1990, Saddam Hussein invaded Kuwait and was forced out by a U.S.-led coalition in 1991. Afterwards, the United Nations imposed hard sanctions on the country until U.S. President George W. Bush decided to topple Iraq's dictator last year. Under Saddam, the traveler abroad was due to pay a fee of $ 205 U.S. dollars, the thing that prevented exodus. The average monthly individual income has come down to $ 5 U.S. dollars during the 5 past years. But, Ali, a Muslim Sunni Arab, had another viewpoint on "Christians'" current exodus. "The gangs are not targeting Christians only. They are targeting the wealthy," said Ali, 28, who wanted to be identified by his first name only. "My uncle also was kidnapped by gangsters," Ali, an engineer, said. Of Assyrian Christians' enthusiasm to leave Iraq, Ali said, "They have churches and relatives abroad to support them. That's why they can leave the country more easily than other Iraqis." However, nothing would spoil Evan Oshana's happiness for having got his visa to Australia, "the land of paradise." "I have got rid of Sadr and all those Islamic clerics," Evan, 32, said, referring to Muqtada al-Sadr, the Shiite cleric who led his Al-Mahdi army last April to fight the U.S.-led coalition forces occupying Iraq. After finishing interviews, Tainer Oshana, 26, the guy who accompanied the writer of this report, had something to say. "Salim! Do you know what? I think those people you interviewed thought you were a visa giver," Tainer said, laughing out loud. After the extinction of the past regime and the transfer of power to Iraqis, all eyes were directed towards the steps that will be taken towards building democracy in Iraq, which had been blocked for decades due to dictatorship. One of the most important steps in this regard is the preparation for the Iraqi National Conference, which is to take place at the end of this July 2004, from which an Interim Iraqi National Assembly will emerge until a free, direct, and general elections are help in January 2005. 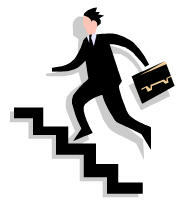 To accomplish this noble goal, a proper start must be present. However, the process for the preparation for the Iraqi National Conference and the nomination of delegates to it, which took place in Doduk Governorate, does not reflect such healthy start. This process did not abide by democratic factors, foundations, and ways and means that were decided upon by the Upper Committee. The terms and stipulations of these ways and means guaranteed to distribute special percentages for political organizations, civil society institutions, religious, tribal, scholarly and cultural figures. However, what happened in Dohuk was completely distant from, contrary to, and did not reflect these foundations and standards. The Assyrian Democratic Movement (ADM) struggled against dictatorship for more than 25 years. It has its distinguished place among our people and among the Iraqi patriotic movement through its actual participation in opposing the past regime. The ADM gave many eternal martyrs who were executed by the past regime and its members were imprisoned in the regime's prison cells and jails. The ADM participated in previous Iraqi opposition meetings, in the temporary governing council, Iraqi current cabinet, and in the Upper Committee assigned to oversee the preparations for the Iraqi National Conference. The ADM represents our people in the regional parliament in north of Iraq since its elections in 1992 and to this day. However, the ADM was expatriated from participating in the preparation process and was kept away from nominating delegates from Dohuk Governorate. This whole unfair process was applied to many other civil society institutions such as the ChaldoAssyrian Student and Youth Union, ChaldoAssyrian Women Union. It was applied against many notables that have their distinguished role and place among our people. The expatriation and removal of our groups occurred in collaboration between the local authorities in Dohuk Governorate, ruled by the Kurdistan Democratic Party (KDP), and the special committee in Dohuk assigned by the Upper Committee. This deliberate removal and marginalization of our groups and those effective and distinguished personalities from among our ChaldoAssyrian people is a persistent stand and actions that had continued for many years. This has taken place since 1991 while north of Iraq was under the auspice of international protection for 12 years while the region was considered to be experiencing a democratic experiment. However, ChaldoAssyrians were expatriated and kept away from occupying high and sensitive positions. Such positions included deputy governor or mayors in localities that they occupied historically and in regions that reflected a dense ChaldoAssyrian population. Furthermore, the ChaldoAsyrians deserve these considerations since they make the second ethnic group percentage wise in the Dohuk Governorate. The ChaldoAssyrians did not enjoy these lawful rights. The trespassing against ChaldoAssyrian Christian lands and villages, stealing these lands from their lawful owners, who continue to exist on this land since time immemorial, and the practices of the narrow-minded organizations towards the common ChaldoAssyrian folks requires a pause, reconsideration, and correction of the mistakes. This, we say especially during these democratic transitions that are not affecting our country alone but rather they are profound changes that their consequences are reflected on the international arena. We demand from the Upper Committee that oversees the preparations for the Iraqi National Conference to re-examine the delegate's nomination process in Dohuk Governorate and undo the mistakes because what happened discredits the legality of the conference itself. Iraqis were jubilant for the transfer of power to them, as they begun to put the foundation for democracy, represented by the elections that are to take place next year. These elections are the aim of everybody. Iraqis struggled for this democracy through leading patriotic organizations that gave many martyrs through the decades. Our Assyrian Democratic Movement (ADM) was one of these organizations. The ADM fought dictatorship, oppression, and despotism for more than quarter of a century and gave sweat and blood for that. It was for those patriotic stands that the ADM gained its place among the Iraqi opposition and the respect of the people, which qualified it to be the people's real front runner. In the middle of this optimism, the individuals who are preparing to name the delegates of Arbil are neglecting the role of the ADM. This they do despite the fact that the ADM is the representative of the ChaldoAssyrians in the Kurdish parliament, a parliament that they refer to so proudly as an historical accomplishment. In the forefront is the Kurdistan Democratic Party (KDP) who is leading the way in marginalizing the role of the ADM. Furthermore, the KDP is belittling the principles of representing our people and selecting our representatives. The KDP officials selected those they desired in order to participate in the local governorate (province) conference and it was them (i.e. KDP officials) who supplied the required delegates to the Iraqi National Conference. As we assert our strong objection for such methods and procedures, we call upon the upper committee that is preparing the national conference to accept its responsibilities and to investigate in the matter. What had occurred is a defamation and challenge to the legality of the conference and is inconsistent to the principles that were adopted by the upper committee. - Representative of the Dohuk governorate in the central Upper Committee, Ma'soom Anwar Ma'i. - Two senior judges in the governorate and the judge with seniority were to head the Committee. The Dohuk Superior Criminal Court assigned two judges: Michael Shimshon and Abdullah Aziz Ahmad. Judge Michael Shimshon headed the Committee. - Two members from the City Council, oldest among men and youngest among women. Thus Mohammad Hasan Hamid Hajani, a governor deputy, and Aamina Ahmad Abdulla, head of planning and construction in the governorate, were selected. - Two members from outside: Hana' Edward and Aziz al-Yasiri, and the last two neither attend the meetings nor sent replacements for them. Therefore, the selection and election committee for Dohuk was comprised of seven members. 2. A meeting for the committee referred to above was scheduled for July 19, 2004 in the Dohuk Governorate building in order to address issues concerning how to select the delegates of Dohuk to the National Conference planned to take place in Baghdad. That meeting did not take place despite the numerous contacts we made with the deputy governor. We were told that Mr. Ma'soom Ma'i was not available. Since the presence of Mr. Ma'soom was important, being a representative of the governorate and the liaison between the Dohuk Committee and Central Committee in Baghdad, therefore, the meeting was postponed and rescheduled for Tuesday, July 20, 2004. On this day (July 20, 2004), the members attended the meeting were surprised to find out that the applications were already submitted to the heads of the administrative regions in the governorate the previous day (July 19) without my and Mr. Abdullah Aziz Ahmad's knowledge or agreement. Even the other member in the committee, Mrs. Aamina Ahmad Abdulla, expressed her dissatisfaction for what had happened. Therefore, this happened in our absence and between the remaining members in the Committee and the local authorities in the governorate. It was not in collaboration between all members of the Committee and the local authorities, as expressed in your above clarification; it was completely to the contrary. Judge Abdullah Aziz Ahmad and me were dissatisfied and angry towards such behaviors. We reflected our objection for what had conspired truthfully and clearly to both Mrs. Ma'soom Ma'i (representative of the Upper Committee) and Mohammad Hasan Hajani (Deputy Governor and Committee member). I informed them that I will rely our point of view and opinion to the Upper Committee and I was planning to have that done through Mr. Ma'soom Anwar Ma'i. However, Mr. Ma'i left for Baghdad before we met with him again that evening and after the elections, a meeting among us that we planned earlier. This same point of view was expressed during an interview conducted with me by Kurdistan TV after the completion of the partition of votes inside the hall that hosted the conference. In that interview, I clearly emphasized the mistakes that accompanied the above election process. A representative of the mentioned television station assured me that he will broadcast the interview, in its entirety, however, he did not keep his promise. We are ready to conduct any television interviews with any television station or media source to express this point of view of ours. Therefore, we missed the opportunity before others did and we could not contact those concerned, whether political organizations or others, as stated in the instructions given to us by the Upper Committee. The misdeed or guilt is not ours but it is the guilt of those other sides. 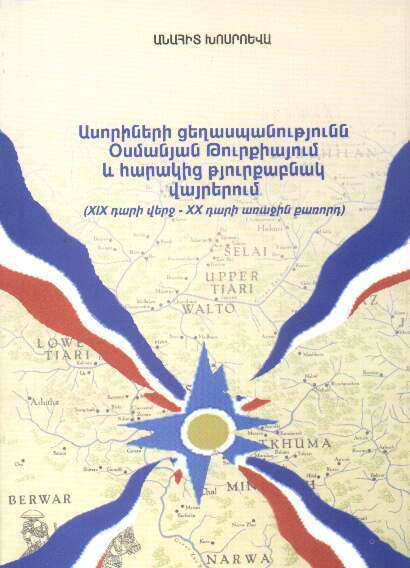 Worth mentioning that while we were in the conference hall and during the votes' partition, we observed the sudden appearance of applications that belonged to the Assyrian Patriotic Party (APP) and we did not know how and where from did they obtain them and why were they submitted so late. 3. We want to clarify as well that the instructions we received from the Upper Committee were neither thorough nor clear. These instructions did not address many unresolved problems. These include, for example, the alternatives if legal and proper quorum was not obtained, whether regarding the general members attending or the men/women percentage. This is because in the latter case there was a specific percentage set by the Upper Committee, which was difficult to achieve in a society that is dominated by civic and tribal culture, something that could not be overcome or wiped over night. Furthermore, we could not figure, through the Upper Committee instructions, those means to follow in considering the various Iraqi groups like Turkomans, (Assyrians Chaldeans Syriacs), and Mandeans during the election process. The instructions of the Upper Committee were not specific about what guidelines to follow in this matter. 4. Article four of the Ways and Means of the works of the Upper Preparatory Committee that is preparing for the National Conference included eight conditions that were to be present in the nominees for delegates. These included nominee age; whether he/she assisted the past regime; was he/she part of the past repressive apparatuses; did he/she become rich illegally; that the nominee must not be convicted with a disgraceful crime; that the nominee must be of good reputation; has a high school diploma or equivalent; and that he/she was not a supporter and propagators of the past regime's ideology and crimes. How could we investigate and make sure that the above conditions are indeed present in the nominee within two or three days. This process requires two or three weeks, or perhaps one month. Is it logical to consider only the absolute word of the nominee himself? This we say especially when we are selecting delegates to the National Conference in Baghdad, which millions of Iraqis are waiting anxiously; a conference through which the Iraqi National Assembly shall emerge? Who in his right state of mind is going to tell the Committee that he was a supporter of the past regime or participated in the regime's repressive apparatus? That is illogical. It was expected, therefore, and under such conditions, to open up the opportunity for the Committee to investigate whether the nominees were qualified. This could have been accomplished by contacting the appropriate and related agencies or any other available means. This rush will lead indeed to have people reaching the Iraqi National Assembly who do not deserve that mission and there lay the biggest disaster. In short, it is not possible, under any circumstances, to hold us responsible for the mistakes of others. We reject that our unblemished record be touched and we will not submit to any person no matter who it was. We did not compromise our principles even in the darkest days. If so, how would we compromise in these joyful days that bring the winds of democracy to our country? What saddens us is that we did learn from the mistakes of the past and we are repeating those mistakes even when freedom is shinning over our land. It is not wise for any person to keep everything to himself and all the time. We hope and wish that the spirit of freedom, friendship, and forgiveness will find itself among the sons and daughters of this one country and admit that we, all of us, are partners in it. We hope that the various sides will not try to control everything because that did not last for others and if we consider it wisely, it will not last in our case either. However, wishes and hopes are one thing and reality is another. I hope as well to let you know that Judge Abdullah Aziz Ahmad, the member in the Committee, shares with me this opinion completely, as mentioned earlier through this follow up. We hope that this follow up will be published in media outlets that belong to your movement so that the facts about the issue are known. (ZNDA: Damascus) According to information received at Zinda Magazine two Assyrian farmers, Jamil Shamoun and Mikhael Hanna, were brutally murdered in Syria. Both victims were from Dereek, approximately 10-15 kilometers from the Syrian-Iraqi border. The inhabitants of the town of Dereek are Assyrians and Kurds (majority Kurdish since Assyrians have been leaving the area). The Assyrian farmers were carrying 25 million liras (approximately $US 500,000) when they were killed in a brutal fashion. The money was not taken by the killers, rather left next to the bodies. The bodies, seen only by the government officials and close friends, were mutilated. The identities of the murderers are still unknown. In Syria and the Jazireh region in particular, the farmers collect their money from the sale of their crops at this time of the year, which may explain the amount carried by the victims. (ZNDA: Damascus) Syrian security authorities have prevented an Assyrian political party from marking its 47th anniversary in northeastern Syria, the organization said Friday. The Assyrian Democratic Organization, which has had several run ins in the past with Syrian authorities, was to hold anniversary ceremonies two weeks ago, according to a statement it faxed to The Associated Press. But political security agents in the northeastern city of Qamishli notified the head of the party's politburo, Bashir Saadi, to «absolutely cancel holding any ceremonies regarding the anniversary without explaining the reasons behind the authorities' decision,» the statement said. «I was surprised by the authorities' decision to ban the ceremonies, especially after the organization had invited all political and human rights national groups, including the ruling Baath party's local leaders, to send representatives to attend,» former lawmaker Saadi said. Government officials were not available for comment. The Assyrian organization, which was formed in 1957, has felt the wrath of the Syrian government several times since the Baath Party took power in a 1963 coup. Despite going underground in 1963, the Assyrian group had 22 members of its leadership, including Saadi, jailed in late 1986 during an anti-dissent campaign. They were released six months later. In 1997, the government detained three party leaders, including Saadi, for another six months. Syria's Assyrian population is estimated at more than 500,000 people. About 200,000 live in al-Hasakah and Qamishli. While they enjoy freedom of worship, some Assyrians seek minority status to promote their language, Syriac, which only Assyrian churches now teach. The Assyrian empire's zenith was between the 9th and 7th centuries B.C., when it stretched from the Gulf through modern-day Iraq, Syria and Turkey to the Mediterranean Sea. Since the secular Baath took power, Assyrians in Syria have been referred to as Arab Christians. Like the Kurds of the country, the Syrian constitution does not recognize Assyrians as a minority. The decision to ban the Assyrian party's anniversary comes a month after Syrian security authorities told Kurdish leaders to stop their parties' political activities. Since replacing his late father, President Hafez Assad, in 2000, Syrian leader Bashar Assad has released hundreds of political prisoners, but also clamped down on pro-reform and pro-democracy activists, showing there are limits to dissent. Gewargis Hormiz Sada) has sent a special message to the Assyrian people. Persecuted much in the past, particularly during the time of Saddam Hussein, the Assyrian community is at a crossroads for those in the country whether to stay or leave and to those overseas whether they can come back to their homeland. "Please tell the Assyrian people that as the original people of Iraq that assistance to return to their former villages and residences is one of the top priorities of the new Iraqi Government," comments Mr. Alawi. "The Government is taking all efforts to ensure that all Iraqis, in particular those that have suffered the most will be protected and given all possible assistance so they can resume the lives they once lived before the nightmare of Saddam Hussein took all from them," continued Mr. Alawi. Mr. Iyad Alawi also commented: "In particular we are asking all Assyrians living in Iraq to please give us time and be patient. We ask that they not leave Iraq because we are doing all we can to make sure they can return home. As it has only been days since the change of government and there are many, many items on our plate it will take a little time, but be assured that it is our top priority." Mr. Alawi also had a message for the Iraqi-Assyrians who left their homeland during the last few decades: "To those Assyrians living overseas, please come home and help rebuild your country. This is our message to the Assyrian people who are the indigenous and original people of Iraq." General Sada, who is an Assyrian himself and a decorated Military Officer says the new Iraqi government`s main priorities are in ensuring security for the country, a sound economic footing and fairness for all as the nation embarks on a new future. General Sada encourages all Assyrians living overseas to at least visit the new Iraq and see for themselves how much things have changed and to those living in Iraq for a little more patience as the government come up to speed. "We have so many, many things on our plate right now. We are starting everything new and it will take us some time to get things going, but we are on our way and the best is yet to come," says General Sada. (ZNDA: Baghdad) The Assyrian Assistance Center in Baghdad has claimed that a "calculated effort is underway to deny Assyrian Christians representation in the upcoming elections." Ken Joseph Jr., from AssyrianChristians.com, says, "A 1,000-member election commission is being chosen to represent the various constituencies from which elections will be ultimately carried out." Amir George of the Assyrian Assistance Center in Baghdad, who has asked that his name be changed to protect his identity, added, "To date we have confirmed only 20 Assyrian delegates out of the total of 1,000. "The names the Assyrian Christian Community has turned in for inclusion in the election commission have all been rejected by the Kurdish Regional Government authorities. We are calling upon freedom loving peoples worldwide to protest in the strongest way possible this blatant attempt to shut us out of the electoral process." The Assyrian Christians are the indigenous people of Iraq, and Christians. They face blatant discrimination first because they are not Arab, then because they are not Moslem, and again because they are seen as allies of the West. "We are doing all we can to demand that we be accorded representation in accordance with our status as the indigenous people of Iraq," says Assyrian Christian activist Robert Isaac. "During the time of Saddam Hussein the Assyrian Christian Population was given as 2.5 million by the Iraqi Government. That should give us a minimum of 100 seats out of the 1,000-member assembly. "In both Dohuk and Arbil the Assyrian Christian population figures give us four delegates to the convention each – we have been given none. This is completely unacceptable." 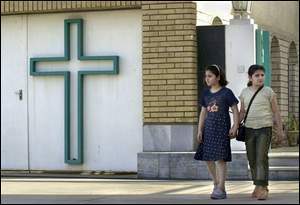 According to Ken Joseph Jr., "AssyrianChristians.com has confirmed directly with Iraqi government officials who flatly stated for the record that 'the Assyrian Christians as the indigenous people of Iraq shall have the representatives of their choice and any difficulties they may encounter will be fought to the full extent of the law.'" He said that an Iraqi official has stated, "Please give us the details so we can ensure that this important and historic Iraqi community can be part of the process." George Lazarus was then quoted as saying, "This blatant shutout from the election process of the indigenous Assyrian Christians is a part of a long history of discrimination, ethnic cleansing and genocide endured by one of the last remaining Christian populations in the Middle East in an area that has seen non-Moslem numbers fall from nearly 18 percent according to some figures a generation ago to now under 2 percent." The Assyrian Holocaust of 1917-1918 saw nearly two thirds of the community wiped out in one of the most terrible, but least known massacres of the 20th century. "We call upon the international community to protest in the strongest way possible to their local Iraqi Embassy that the rights of the Assyrian Christians be protected," says George. "We demand immediately that the Assyrian Christians be accorded delegates to the convention from Dohuk, Arbil and every area of Iraq in accordance with our status as the indigenous people of Iraq," added Lazarus. (ZNDA: San Jose) Raabie Nimrod Simono, one of the most accomplished Assyrian educator and linguist, passed away last week in his home in Tehran, Iran. He was 96. Raabie (teacher) Simono was born in 1908 in the district of Salamas, Iran. He attended the French Lazarist Missionary in Tabriz from 1920 to 1923, and between 1923 to 1931 the Catholic Seminary in Urmia which was directed by the Lazarist priests. In 1931, he attended the Lazarist Missionary Seminary in Paris, France where in 1934 he completes his studies. From 1934 until 1937 Nimrod Simono attended the Lazarite Theological Missionary Seminary in Dax, France, and in 1938 he completed his formal studies in theology and philosophy from the Theological University of the Dominican Roman Fathers in Rome, Italy. Raabie Simono was fluent in 11 languages including Latin, French, Italian, Persian, Turkish, Armenian and English. Proficient in the reading of Hebrew and Western Aramaic (Targum), he was a scholar in the classical Syriac and the modern Assyrian language. From 1952 to 1961 Nimrod Simono was placed in charge of the publication of Gilgamesh magazine, published in Tehran, Iran. From 1969 until 1992, Raabie Nimrod authored several books on the Assyrian grammar, commentaries on Assyrian literature, and biographies of other Assyrian scholars. Noted among Simono's books are A Biography of Paul Bedjan, An Analytic Study & Commentary on John Alkhas' Poetry, A Study of the Semitic Languages, Assyrian to English and English to Assyrian Dictionaries, and the 3rd Edition of the Elementary Assyrian Grammar. (ZNDA: Chicago) The Assyrian Athletic Club's Winged Bull Soccer Team in Chicago won the Midwest Championship of the United States Adult Soccer Association (USASA) in Milwaukee, Wisconsin on 18 June 18 and is now on its way to the US National Championship. This year's National Finals will be held next week between August 6-8 in conjunction with the USASA Mid Year Meeting in Orlando, Florida. The tournament site will be at the Central Florida Sport Center of Orlando, and the hotel accommodations for the players will be at the Comfort Inn and Suites located at Exit 101C off of Interstate 4. It is approximately 10 minutes from the fields. The Winged Bulls are scheduled to play against the New Castle United team from Texas on 6 August at 7:00 PM. For more information contact Raymond Oshana at (773) 447 0358. Setrok Drive, Modesto, CA. 95356; email: mkpius@comcast.net; Tel. 209-545-4120, for editorial matters. Why in the world you would publish pictures so horrific? It truly made me sick to my stomach. I can not understand at all, why is necessary to be so graphic? I am in shock. I understand that people need to know the truth, but they do not have to be hit in the face with it. At least have some sort of a warning for those of us that are not prepared for such nauseating photos of the bloody dead children. Dr. George Habash's rich personal experience seems to be the result of his comfy life in the homeland of our number-one enemy (this according to the Dr. himself) belching out accusations against this person or that organization, much in the same style of the Nazi official cited by the good Dr. Is this guy serious? If Dear Dr. Hypocrite truly were concerned about the plight and the rights of our people in our Homeland, he would take the next flight to Baghdad. Criticism from a safe distance is easy, fighting the battle for our rights and national recognition is what builds character and a "rich" personality. Learn a thing or two from Rev. Ken Joseph. Ken does not hesitate to criticize, but he has put his money where his mouth is. He, at a great personal sacrifice, is serving our people where it matters, in our Homeland. The consequence of our indifference and division is tragic, ugly and hideous as the picture you wisely picked. I commend you on the subject but we need more than that to do. If all these atrocities are not enough for our people in general and for our intellectuals, politicians and clergies in particular to raise a red flag everywhere on Earth; then I think we may better shut out and burry ourselves alive! I am really confused after all this long anticipation for not hearing something new and solid, as you promised, about the progress in the steps you made so far coordinating the long awaited Operation Tammuz Project! On the other hand I am unable to digest how did you pick and read this contradicting article ‘Kha b'Tammuz' and what on earth made you see any good or sense in it to make it your ‘Featured Article'? This is the most decimated piece of unlinked and contradicting paragraphs that you may read in your entire life. The author writes “The Assyrian parties and ADM fought hard and a long struggle waiting for a re-shaking of Baghdad in order to advance the Assyrian national cause … “ yet we read later “ADM, being infant and with scarce membership, and in order to hijack the Assyrian struggle…”!! First ‘The Past Regimes' talks solely about Christians' representation during different regimes that ruled Iraq during the last century. However, the second part “The Present Regime” is talking specifically about Assyrians and yet the author is not admitting or noticing his big and obvious change in terms used and their important significance. The author comes to discuss the Assyrian representation and he intentionally ignores the fact that the true representation in any democratic society is mainly in the Congress and not the Government because the latter is only an executive tool for the first. Actually, I think we should support all attempts to maintain a secular democratic system that promotes picking the cabinet members based on their proficiencies and capabilities rather than on their ethnicity or religion. Then our ‘Nostradamus' is ‘predicting' the fall of the new Iraqi government and the soon return of the Ba'athist regime back to power! The author then preaches and describes in fair details his fictional theory about an ongoing ‘conspiracy?!' between the US and the British to save Saddam's head for his soon return! The author comes to his final and shocking conclusion by asking ADM to allow our people select their true representatives freely as if the issue is the ADM suppressing our people and he is totally ignoring the real problem of our people being oppressed by the Arabs and Kurds. It is really strange that you don't find any reference to any of the serious problems that our people are facing in the everywhere in Iraq and specifically in northern cities that are ruled by Kurds. We don't need to hear such voices now! Finally, I would like to ask Zinda whether a footnote addressing your own view (as you usually do!) was required at the end of the article or not. The number of killings of our daughters in the homeland is on the rise. Yesterday two more of our daughters were senslessly and brutally murdered by the enemies of justice, the enemies of humanity, the enemies of God. The day before and before dozens if not more have been murdered in the same manner if not worse, leaving behind sorrow, despair, emptiness in the hearts and minds of their loved ones, with perhaps one thought on their minds "Where is our nation ". I write this with uncontrollable tears as I imagine that it could have been my family, my daughter, my sister, my cousin my neighbor, my friend. I wish you the same imagination, in order that your tears may awaken your conscience. This Nation needs to establish its national security apparatus which can only be achieved by the creation of the Assyrian National Leadership in Diaspora. Dr. Ashur Moradkhan who is a leader, a dedicated man of doing not only talk, who has spent his entire life dedicated to the Assyrian National Cause, and who has spent the last three years in Assyria proper helping, developing and inspiring our Assyrian community there, has pledged his knowledge, energy, and all else to create this long overdue desperately needed Leadership to unite all our national energy in order to create the National Security Apparatus for our people in the homeland and wherever else they may be suffering abuse. Dr. Ashur Moradkhan, along with other capable intellectuals and activists has spent countless hours in preparing the program, means and ways and all that is required. Dr Ashur Mordkhan has spent countless hours preaching in Paltalk rooms educating the many Assyrians who have been blessed to hear his words of wisdom. You can participate in the debates in paltalk by downloading from http://support.paltalk.com and going to groups, clicking on Middle East by language, then go to Assyrian Khoyada or Assyrians 4 Assyria rooms. 1. To create committees, group or unit of individual in each city where Assyrians reside and email the list of those in the committee or cell to Dr. Ashur moradkhan at amoradkhan@yahoo.com. 2. To spread the message to all who you may come in contact with and discuss this matter ( Assyrian National Leadership... Assyrian National Security) with them. Dr. Ashur Mouradkhan then will email each group step two of the program comprising of the next course of action(s) to be taken by each unit or group. Dr. Ashour Mouradkhan is the mastermind of the ideology of the Assyrian Universal Alliance, and very clearly states that it (A.U.A.) has failed and as such the new ideology which is reverse to that of A.U.A. meaning the creation of the leadership from the people from the base as opposed to the ideology of A.U.A. which was based on creation of an Umbrella of the political parties in existence. Due to the suggestion of many Assyrians Dr. Moradkhan began communicating with all the main Assyrian Political parties in Diaspora and reported that A.U.A is in agreement with his plan and will support his efforts. This is a call to all intellectuals, activists, and nationalists to join forces for the sake of our national existence, prosperity and security. God help us all if we miss this opportunity and may the blood of those Assyrians being killed, OR WILL BE KILLED be on our conscience if we fail to act promptly. I realize that you may have questions, and please do not hesitate to communicate directly with Dr. Ashor Muradkhan at the aforementioned email or live at Paltalk rooms aforementioned usually from 8:00 p.m. to 12:00 midnight California time. Without the Assyrian national security our nation is a sitting duck for anyone to take aim at, and without a Leadership we are like a chicken when its head is cut off and we all know what that means. May the Assyrian Victims of our pasiveness rest in peace, and their spirits haunt all of us to awaken us. (ZNDA: Palo Alto) Stanford University has approved a program to conduct a DNA study of of the Assyrians residing in Turlock, California. The cost of this study is fully paid by Stanford University and there will be no cost to Assyrians. Stanford researchers require 120 individual males, which have migrated from Middle East to Turlock (Stanislaus County). They need volunteers who were born in Turkey, Syria, Iran and Iraq. Stanford Laboratory of Human Population Genetics invites Assyrians living in Turlock, CA to participate in a Comparative Study of Hereditary material - may provide insight into cultural and geographic correlations between populations. Please submit your request to edashour@aol.com For those who cannot drive to Stanford University to take give blood sample, a University staff can meet at the individual's house. Stanford University is conducting a study of DNA hereditary material, that is found in all tissues including saliva or blood cells. DNA is slightly different from individual to individual and these differences are of interest for studying patterns of ancestry. The aim of the Stanford Laboratory of Human Population Genetics is to learn the history of the formation of ethnic groups. The National Institute of Health of General Medical Sciences (NIHGMS) finances the research. The Stanford professor heading this research is professor Luca Cavalli-Sforza. Professor Luca Cavalli-Sforza has joined the Genetics Department at Stanford in 1971 and is now professor emeritus active. He has conducted research on the history and geography of human population both from the genetic and cultural point of view. He is author of several books: "The History and Geography of Human Populations Genes, People and Languages Cultural Transmission and Evolution The Genetics of Human Population The Neolithic Transition and the Genetics of Populations in Europe"
1- A genetic study on the Assyrian identity may provide evidence of extensive Neolithic migrations of Middle Eastern farmers/herders into SE Europe 8000 years ago, and also of their earlier origins. The study will serve as further evidence of the frequent disjunction between ethnic identity and boundary formation and genetic continuity in many regions of the world. Stanford Laboratory of Human Population Genetics would like to include in its population studies the group of the Assyrian -Americans living in USA. 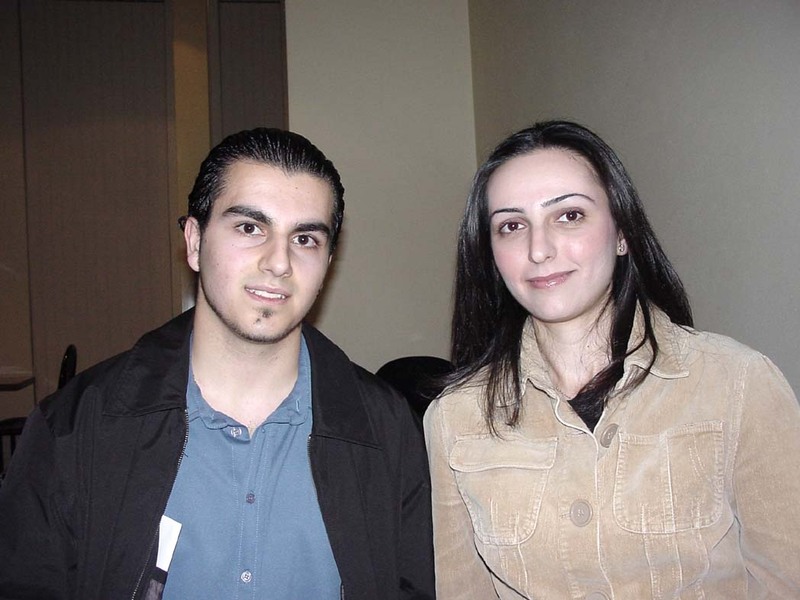 There are approximately 17,000 self-identified Assyrians living near Turlock who are distinguished from other ethnic groups by their geographic origin - the triangular region at the intersection of Northern Iraq, Iran and Turkey - their language, and their religion-Christianity. They trace their historical origin to the ancient Assyrians who ruled that area from the middle of the second millennium BC. Because of Stanford's ongoing studies of the population history of the first agro-pastoralists in SE Europe, Anatolia and the Levant (King and Underhill, 2002), sampling the Assyrian community for Y-chromosomal and other autosomal and mitochondrial DNA markers may provide insight into the cultural and geographic origins of agriculture much earlier and very important prehistorical period. 2- In addition, this research provides a way to try to understand human diseases and/or the role genes play in the diseases. The material collected will be of interest for the study of hereditary health span and traits (ex: hair color). In collaboration with other scientists, the hereditary material will be examined following all of the requirements of the laws and regulations that guarantee the rights of the participant in the study. What this study may mean to Assyrians Population genetics has already proved that most people are a mix of many origins. Assyrians, as descendant of a vast empire that integrated people from the conquered adjacent countries, may have many traits in common with other Euro-Asian populations. However, The Assyrian population in Central Valley has a strong cultural identity, and consistently shows great interest in learning more about their background and the mystery that surrounds their origins. The fact that this population is by enlarge endogamous, and of recent migration, may have prevented any significant change in the ethnic and genetic composition of the people. Combined to other studies, such as archaeology, paleontology and linguistics, this genetic study may provide additional information on Assyrian affinities or differences to other populations There may be characteristics common to other Middle Eastern population, or the study may show significant differences from other Middle Eastern people. While this study does not resolve the gaps between historical facts and mythic events surrounding Assyrians, it may help establish genetic linkages or differences between Assyrians and other populations. The Ethics Advisory Committee of the Program Project on Variation in Human DNA Sequences has approved the scope of the project submitted by the Stanford Laboratory of Human Population Genetics, and the proposed collection of samples from the Assyrian population in California's Central Valley. For the purpose of this study, the information we will need from each participant is: · Age; · Place of birth; · Religious denomination; · Geographic origin of parents and grandparents. NOTE: If one of the grandparents is not Assyrian it will need to be noted. According to the laws and regulations that protect the rights of the participant to the study: · Participation to the study must be voluntary; · To protect donor's identity and preserve anonymity, once the sample is taken, it will be forever separated from the name of the donor; · To protect donor's identity, and to prevent any possible discrimination now or in future, once a sample is donated, the sample will not be identifiable. Therefore, once donated, the sample will not be taken out of the survey. · To prevent any possible discrimination, the results of this study are used for research only and not included in any medical records. In fact, Stanford will not even be able to tell the donor specific results concerning just him/her. The data collected will be examined as a group only, for comparisons with other groups. · No medical, nor phenotypical information will be asked to participants. A book by Ms. Anahit Khosroyeva (pictured) on the Assyrian Genocide during WWI has been recently published in the Republic of Armenia. Ms. Khosroyeva has extensively researched the subject in her native land and with the support of the office of the Prime Minister of Armenia, Mr. Andranik Mangaryan, is now able to present her findings in a book important to both Assyrian and Armenian researchers. Ms. Anahit Khosroyeva's book was presented at the 90th Anniversary of the Genocide in Armenia. We, the Assyrians of Armenia are grateful to Ms. Khosroyeva and thank Mr. Andranik Mangaryan for the publication of this book. 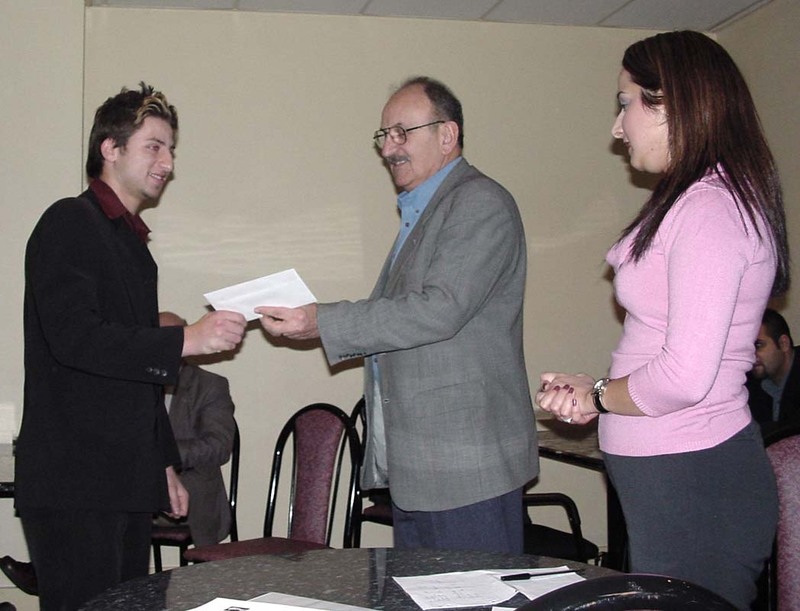 The Rabi Nemrod Simono Scholarship (RNSS) was first established in Sydney's Assyrian community in 1984 after Rabi Nemrod Simono's visit to the Assyrian school. 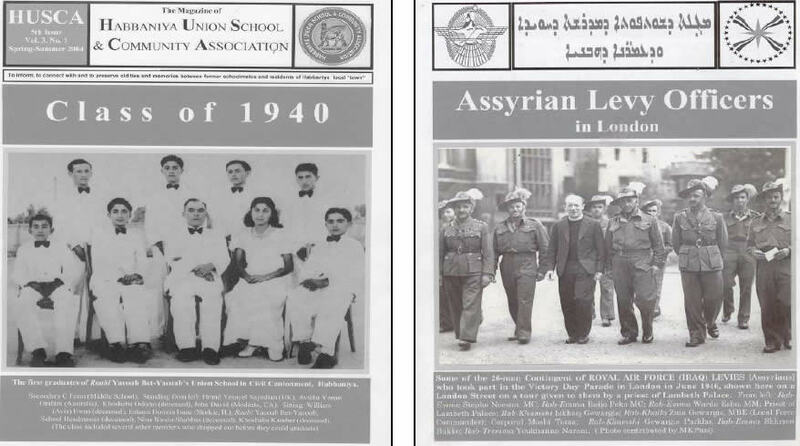 It was decided by the members of the Assyrian Australian Association (AAA) that funds would be set aside for the establishment of a scholarship fund. 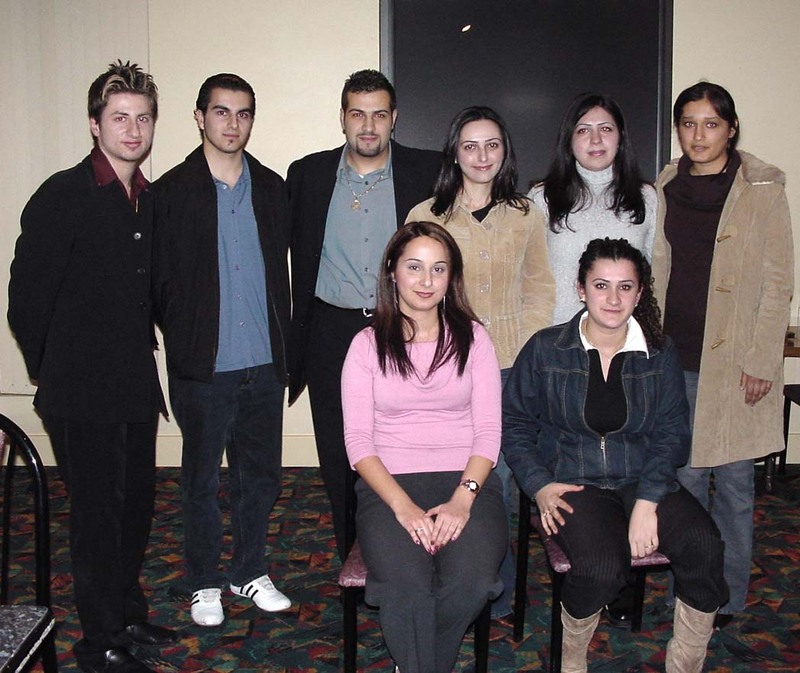 Since its establishment the RNSS has financially assisted many Assyrian students in Sydney in completing their tertiary education. This year's low-key ceremony was held at Nineveh Club on the 4th of July, 2004 and in attendance was a crowd of proud friends and family who sat patiently and watched the opening speech by Ramena Kako - one of the committee organisers, as well as MC for the event. The 3 winners were then read out and each rose to the applause of the crowd and took their scholarship cheque. This year's one year scholarship recipients were Niramsin Yakou, Adam Aishoei and Eva Oraham. They were then followed by 6 renewing scholarship winners who also took to the stage to receive their renewed scholarships. The renewing scholarship winners included Caroni Yousif, Evan Benjamin, Hanna Stephan, Nicholas Aljeelo, Susan Barkho and Renee Isho. A profile of this year's three scholarship recipients is included with the hope that other Assyrian communities throughout the world not only take pride in the achievements of our Assyrian students but also emulate the works of the AAA and focus on the continued education of our youth. Adam Aishoi side by side with his inspiration and fellow scholarship winner, Eva Oraham. Niramsin Yakou is awarded this year's 1 st prize scholarship by Dinkha Warda as Ramena Kako looks on. This year's 3 main scholarship recipients join with renewing scholarship winners for a group photo. This story begins with the usual “Once upon a time…” and like any other good story; it paints such wonderful scenes and larger than life images of the hero. Just as the many other kids I would look forward to the next episode of the story, sitting so still as if I was tied to the bedside and would not want to miss a single word uttered by the story teller. They were good story tellers and they were our relatives or neighbors. Somehow the story seemed more dramatic and adventurous when told just before bedtime because, soon after, we would doze off to sleep with the thought of being the heroes. The hero in the story was brave and gallant. Being resilient and resourceful he would never fail to rescue the maiden or his friends from any situation. He would overcome whatever obstacles he faced. Often the hero would be helped and guided by very old and wise people that he encountered in his fantastic journeys and he would use their magical “gizmos” and benefit from their wisdom and advice to complete his mission. These stories instilled good thoughts and values in an intertwining way. Fictional or not, the children would recognize and instinctively warm up to the good values and it would be something they wanted to emulate. As we grow older, you might wonder what happens to the values that we learned and so much appreciated from these stories. Do these values evaporate and get contaminated or replaced with other newly acquired values as we mature into adulthood? Alas! The wonderful world of childhood only lasts so long. For goodness sake my friend, I really need your help. Whom do I emulate and learn from? Who is your hero? This adult life can be frustrating and confusing and what is worst, you spend it in no time at all and at the end you will ask yourself; what is my contribution and what did I really achieve? Eventually, we all grow up but as the saying goes “there is a child in all of us” that remains. Some more than others. With adults, this childish behavior can be quite comical.. If we were to let the child in us speak the conversation between two grown ups would go something like this: So you tell me that we all have heroes and I hear that your hero is better than mine? Of course! My hero is not only wise and imaginative but he can rain mayhem and destruction on your hero and on anyone who stands in his way. He is a true champion and as sharp as a whip and never needs anybody else. A giant of a man, who can move mountains with his toes. I warn you not to send your hero anywhere near mine for he will surely be vanquished. If you ask me, you should advise your hero to come quietly and make sure he kneels in front of my hero and God help your hero if he dares to make eye contact. Above all, he should not utter a word because my hero does not engage in idle chit-chat and he loathes talkative people who ask too many questions. How interesting! Just a thought, between you and I, would it not be nice to live in the same world where our heroes were as good friends as we are? You and I are willing to face our realities and are eager to join forces to resolve our issues. Maybe they will too. They may not see eye to eye on all matter, but they are only humans. Even Tarzan misses a vine, every now and then! Yep, that would definitely be nice. I like it, but how can it be done? Well my friend, we can seek help from soothsayers and have them prepare some magical potions that we can place in their drinks. Knowing that our heroes are so mighty, we would double or even triple the potion. Even then and after a short time they will soon snap out of it and they will be back to their familiar old ways. I am not so sure this will do it. Fine! Here is another thought. If we were to give them a task that is way beyond their current capabilities. (Mind you, we do not want to humble them in any way), just enough for them to know that a terrible giant has been spotted in their ancestral homelands who wears baggy pants and wraps colorful checkered table cloth around his head. I am sure they will realize that this adventure is much too big for any one of them and they may want to form temporary alliances, and perhaps talk to one another. Should they show interest in this, we will offer our respect as usual and praise them as being very original and deep thinkers. For further information and to access the application click here. Hey, just a minute. That is well and dandy but how do we then work around the allegiance issue? It is not a problem mate; we simply offer whatever is asked of us from our local heroes. I am sure each hero will be looking for our full support. Since they are so wise, they will advise us of the importance of their new mission and more than likely they will get used to the idea that even heroes need to put aside their heavy armor and enjoy some rest which they will need for the upcoming battles. In time they will get used to it and I am sure this will gain momentum and once they find their subjects are happy and willingly embracing their vision and strategies, they will be on the same page like us two. Yes sir, good sound strategies that they would want to cascade down to all of us so that we can understand what is to be done (when you know the plan you will ask less questions) and we will do our level best to make them look good. Strategies with checks and balances and meaningful measurements. You maybe right about the strategies. 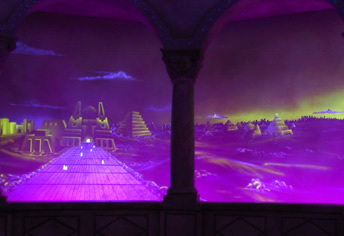 Otherwise, it would be like shooting blanks in the air on a dark Mesopotamian night. Anyways, don't you think this is too much of a change? I mean all this time and ever since they dug up the big river (Zawa Rabba) we have been accustomed to following and serving whatever our local heroes command. Come to think of it, where did it get us? Listen friend, this it is not an issue for us. I hear once, I do not remember when, our heroes did indeed work together and we did that for a very long time. We were the envy of the world. In those days they used to call us a NATION. Blessed were those days. Now you make me sad. My dear friend, do not despair. You can not give up hope. We have done it in the past and I pray that we can do it again. Today, we have good heroes and we will have even better ones tomorrow. From time to time, we hear all kinds of threats from the high-ranking officials of the two main Kurdish parties (KDP, PUK). Threatening, if we don't get this we will seek independents, if we don't get that we will use force, if we don't have this, we have a pishmergah ready to move on Baghdad. The reality is, those Kurdish officials know it very well, as certain as I am, that Kurdistan is a dream one can only dream of in their sleep. Preaching it in their schools, rewriting the history books and creating a country called Kurdistan over the land of Assur is a pipe dream that the civilized world will never accept. No political genius with a reasonable logic can foresee that there will ever be a country called Kurdistan. Crediting the Kurdish leadership with enough common sense and the lessons hopefully they learned from not so very past history, one can only surmised that all these huffing and puffing are nothing but a smoke screen to gain what they can while Iraq is i n turmoil. What is puzzling to me is what is the Kurdish leadership thinking about, when they have adopted the following policies as their platform? 1. Creating a chaotic Iraq? To carve up a position for themselves in any new Iraqi government? 2. Destabilization of the region? To get back at their so-called historical enemies? 3. A tool to be used by the Israelis to get at their neighbors? 4. Securing free flow of Iraqi oil to the West in the hope of gaining favors from the West? All of the above factors will in time hurt the peaceful coexistence of the Kurds with their neighbors. When speaking of small Kurdistan or the greater Kurdistan one has to take into consideration the following factors. The so-called Kurdistan is presently bordered by, Syria on the West, Turkey north, Iran east, the rest of Iraq south. Do these political geniuses ever consider that there is not one friendly country in the region to support their cause? The so-called Kurdistan is land locked and surrounded by unfriendly neighbors for centuries and more so now due to the factors mentioned above (1-4). No sea passage to import and export their goods, no friendly countries in the region to allow them free air space and a hostile neighbor in the South that has its own interest at heart. Now, can anyone in his or her right minds envision an independent country called Kurdistan? The reality is that they are well aware of these facts yet they are still calling for independent Kurdistan. Assyrian are the most indigenous people of present day Iraq. A nation and people, which laid the foundation of the civilization in all fields of science and humanity. A name and a heritage which the civilized world can consider it its own. The contributions of the Assyrian and Assyria are part of the human heritage and history. Assyria and Assyrian are credited for numerous inventions. The contributions of the Assyrian in the fields of science, art, law, medicine and military tactics are well documented. The major museums of the world are a testimony to that fact. This rich heritage left by its founders, is estimated to take another four century to fully excavate and decipher all the tablets left behind. How then, could a nomad people with no known history of their own, or any recorded documents or artifacts crediting them with their own contributions, can attempt to erase or take credit for what it was not theirs? How could a people with no ties to this history a nd heritage can claim the ownership of these lands and call it their own? Can such people with their zero contribution to humanity or mankind be trusted with this human heritage? The academic world and world museums are not ignorant of these facts, yet the zero contributors, still trying to alter this history and claim ownership to it. By stealing, killing and forcing the offspring's of this nation to leave their lands, does not make them deserving or trusting to safeguard this heritage which they have been destroying for thousands of years. The only people who can be trusted as the safe keeper's of this heritage of mankind are none other than the direct decadence of those who left such treasures for all mankind, none other than the present day Assyrians. Iraq and the entire region will be better served with Assyria in north of Iraq, than any other fake name, which can only cause division and human misery to all the people in the region. An Assyria in the heartland of its birthplace can be the center of universe for all the academic community to study and preserve human history. An Assyria that can attract the best academic minds to establish institutions of higher learning for all to share. An Assyria where every child in the world can share a piece of that history and the land known to mankind, as the "cradle." To the decedents of this nation, I say to you that our forefathers have entrusted us with this heritage for us to preserve and forever to protect it for the benefit of our offspring's and that of the human race. This we must do for our sake as well as the humanity. And this is the reality the world can and should understand. We live in a world that is dominated by what the media informs us. People hear much about what is happening in the world. The news has become an epidemic. Everybody wants to fathom what is happening and what is prevailing in every corner of the world. We here about what is prevailing in the Middle East and the Iraq situation but we rarely hear of the Assyrians in the commercial World media. As we ourselves struggle to understand who we are, how can we expect the world to understand? Even if there is some publicity and news of “the Christians of Iraq”, it is insufficient and not clear. The majority of the news we hear around the world is, “bad news”. We here about the bombings, killings, car crashes, deaths and world instability. We hear all the saddening news. We very rarely see what is good in the world and what is happening to improve all the problems that we as a global society face. In particular, we hear, through Middle East sources, about all the Assyrian problems. We hear about Assyrians who are being killed, who are fleeing their homelands and who are begging to migrate to Western countries. And at the end of all this “bad news” we are left with nothing. We don't hear in world media about the Assyrian success stories. As I sit with family members on a trip to Sydney I think to myself what has this city got to offer? How can I be involved? I want to experience the striving community that Sydney is said to be. Well, moments later I discovered that there is an Assyrian community, and to my surprise it IS a striving one. Sydney's relatively large Assyrian community to put it simply is wonderful! • Approximately 300 Assyrian students attend the St. Hurmizd Assyrian Primary School and gain an education while maintaining Assyrian culture and values. • Large groups of people attend Bible Studies every Tuesday night (held by HG Mar Meelis Zaia). • Hundreds of teenagers and young adults attend Bible Studies on Wednesday and Friday nights, under the church name of, St. Peter and Paul Parish. • Youths are not only gaining religious education but also a sense of their own identity. In the midst of all this “ Assyrian patriotism” I sit and ponder to myself the notion that if Assyrians continue in this direction we will eventually come to a positive conclusion in our fight for recognition. Assyrians are trying to be recognized and are trying to show the World who they are. In particular the scrambled Assyrian society of the World is attempting to break the barrier and enter a society of acceptance and acknowledgement of a culture and an ancient people. Well, to say the least, the Assyrians of Sydney are going in the right direction! I am Tiglath Ramsin, an Assyrian. For the past thousand years one thing that has distinguished us from our ethnically intolerant neighbors is our acceptance of different cultures. Racial purity is a concept that is immaterial, even hostile, to the Assyrians. To any other ancient Near Eastern society that prided itself on ethnic purity, Assyrian society was frowned upon as an oddity. For example, Israeli law requires of its citizens that they not associate with foreigners, such as the Assyrians: "Neither shalt thou make marriages with them. Thy daughter thou shalt not give unto his son, nor his daughter shalt thou take unto thy son," say them in their book of Deuteronmy. By contrast, noAssyrian law ever discriminates against foreigners. The god of Israel had insisted that his people not mix with other peoples, whereas Assur, the same single God of the Assyrians, wants all to share together in the richness of the empire, irrespective of the individual's color, creed, or national origin. 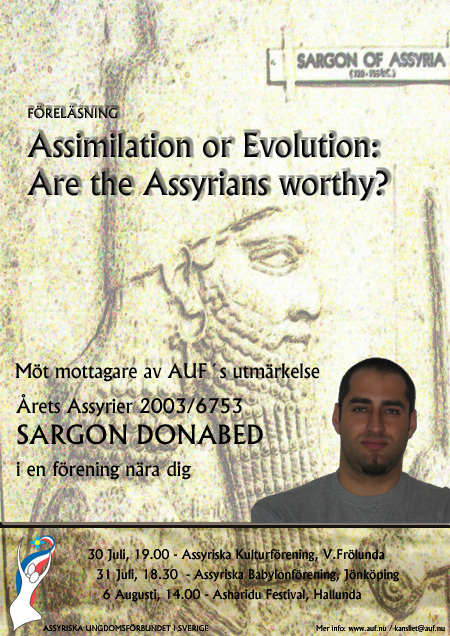 The Assyrian mindset, which seeks to apply the principle of multiculturalism, is unique and visionary. We Assyrians have a relatively mixed ethnic history compared to our neighbors. It was probably under the reign of Tiglath-Pileser I, about 500 years ago, that Assyria itself truly assumed a heterogeneous ethnic identity. This was a consequence of the influx of Aramaean tribes, as well as the arrival and settlement of large numbers of people from all over the world. Our royal annals frequently refer to the fact that foreign peoples, without regard to color or creed, were introduced into the Assyrian 'melting pot.' Immigration policy has always been a distinctive and controversial element of our governmental bureaucracy. As a whole, and in spite of a few fervent ethno centrists, integration was made less difficult because Assyrians themselves are free of an ethnocentrism that typified other countries of the era. Every type of person in the world – white, black olive, brown –wants to come to Assyria because of the freedom here. Freedom and capitalism, the opportunity to express oneself, and the opportunity to make money, are beacons of attraction in the cities of Assyria. Nowhere is this truer than in the market metropolis of Nineveh. Nineveh was the trading center of the world before it fell a year ago. Immigrants to Assyria were acculturated with considerable ease. Even as far back as a thousand years ago, the royal records indicate that 'foreigners' moved up the social scale to assume key positions in the imperial administration. For example, it's always been the case, even today, that a large proportion of Assyrian provincial governors and ranking officials are of Aramaean, Phoenician and Israelite origins. 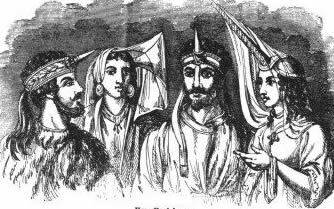 In addition, defeated kings of foreign nations often swear oaths of loyalty and are then introduced into the top levels of Assyrian government. The absence of racial discrimination and the embracing of immigration of all cultures demonstrate that the Assyrians are defenders of a new culture, a new civilization, which makes room for all nationalities. The Assyrians take great pride in their global consciousness: we are a nation, not a race. One can become an Assyrian. All one has to do is respect god, nature, and king. In fact, I think my friend Tarkan the Egyptian is really an Assyrian …because he adores God, King Sargon, and he has never harmed a fly let alone a sacred lion. That alone qualifies him!